The provision of clean sustainable energy is one of the greatest challenges of our time. New low carbon technologies for energy conversion and storage require fundamental advances in the science of energy materials. This meeting brought together world-renowned experts in the field including batteries, solar power and fuel cells, and aimed at setting the agenda for future energy materials research. Download a one page summary of the discussion meeting talk schedule (PDF). The schedule of talks and speaker biographies are below. Recorded audio of the presentations will be available on this page after the meeting has taken place. 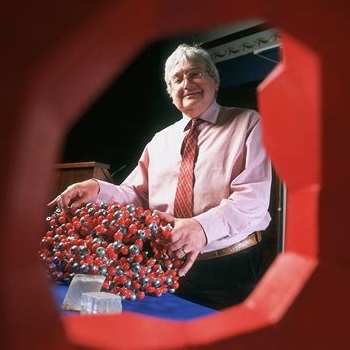 Richard Catlow’s scientific programme develops and applies computer models to solid state and materials chemistry - areas of chemistry that investigate the synthesis, structure and properties of functional materials. His approach applies powerful computational methods with experiment, to contribute to areas as diverse as catalysis and mineralogy. His approach has also advanced our understanding of how defects in the atomic level structure of solids can play a key role in modifying their electronic, chemical and mechanical properties. His work has offered insight into the behaviour of nuclear fuels under irradiation and to the molecular mechanisms underlying industrial catalysis, especially involving microporous materials and metal oxides, in structural chemistry and mineralogy. Simulation methods are now routinely used to predict the structures of complex solid materials. His work has been extensively published and cited with over 1000 research articles and several books and reviews. He has worked extensively on collaborative projects with the developing world, especially in Africa, and was elected Foreign Secretary of the Royal Society - the Academy of Sciences of the UK and Commonwealth - in 2016. Jenny Nelson is a physicist whose research is devoted to characterising the materials used to build and improve photovoltaic devices, which convert energy from the Sun into electricity. She applies a range of tools that include physical models, simulation and experiments to optimise the performance of such devices through their composite materials. 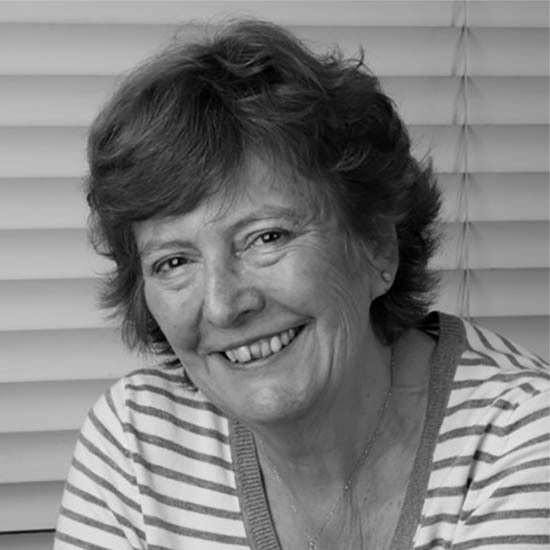 Over the last 25 years, Jenny has worked with many types of energy converting materials, ranging from molecular materials to inorganic materials such as nanocrystalline oxides, and organic–inorganic hybrids. She uses information describing the electronic, optical and structural properties of these materials to inform the design of her devices, an approach that has garnered strong interest from industry. Since 2010, Jenny has also been studying the potential of photovoltaic technologies to reduce the amount of carbon dioxide that is emitted during the generation of electricity, lessening the impact on climate change. She is the author of a popular text book, The Physics of Solar Cells (2003). 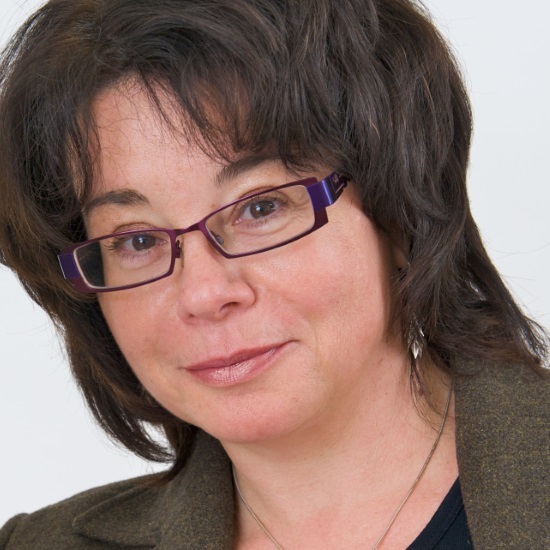 Jenny was elected to the Fellowship of the Royal Society in 2014. Professor Henry Snaith FRS undertook his PhD at the University of Cambridge, working on organic photovolatics under Professor Sir Richard Friend FRS, then spent two years at the EPFL, Switzerland, as a post doc working on dye-sensitised solar cells under Professor Michael Grätzel. He returned to Cambridge to take up a Fellowship for Clare College in 2006, and moved to the Clarendon Laboratory of Oxford Physics in 2007, where he now holds a professorship and directs a group researching in optoelectronics, specifically organic, hybrid and perovskite devices. His research is focused on developing new materials and structures for hybrid solar cells and understanding and controlling the physical processes occurring at interfaces. He has made a number of significant advances for emerging photovoltaics, including the recent discovery that metal halide perovskites can operate extremely efficiently in thin film based solar cells. His recent work with perovskite solar cells has transformed the PV research community, and arguably created a new field of research. Professor Snaith has received a number of research awards including the Institute of Physics Patterson Medal and Prize (2012), the Materials Research Society Outstanding Young Investigator Award (2014) and the European Materials Research Society EU-40 Materials Prize (2015) and was elected as a Fellow of the Royal Society in 2015. In addition to awards, he was named one of ‘Nature’s 10’ people who mattered in 2013, and assessed as being the world’s second most influential scientific mind in 2016, based on citations of his seminal scientific papers on perovskite solar cells. In December 2010 he founded Oxford Photovoltaics Ltd which is rapidly commercializing the perovskite solar technology transferred from his university laboratory. 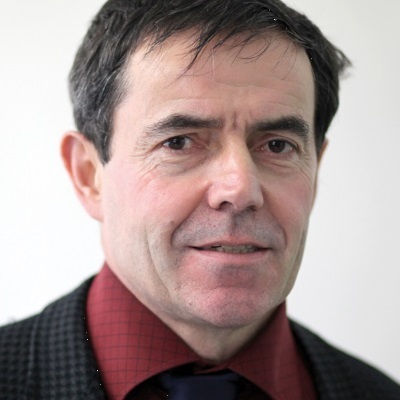 Jean-Marie Tarascon is Professor at the College de France holding the chair “Chemistry of solids – Energy). But much of his early career was spent in the United States where he developed (1994) the plastic Li-ion technology. 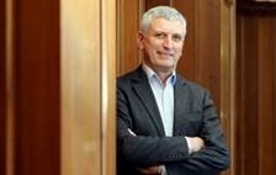 He then returned to France where in 1995, he created the European network of excellence ALISTORE-ERI of which he was Head until 2010 before becoming in charge of the recently created French network on electrochemical energy storage (RS2E). Tarascon’s present research is devoted to Li-ion, Na-ion batteries and other chemistries with emphasis on developing new eco-efficient synthesis processes and developing novel reactivity concepts. He is the author of more than 650 scientific papers, and holds about 85 patents. He has received many honours, with the last ones in 2017 being the CNRS innovation medal, the Galvani medal and the Eric and Sheila Samson Prime Minister’s Prize. Over the past decade, the availability of electricity from sustainable energy sources has risen dramatically while the cost has fallen steeply. These factors have driven a surge in activity in the development of energy storage technologies. While much of this effort has been directed towards grid scale batteries, reversible hydrogen electrochemical cells offer untapped opportunities. In particular, electrochemical cells based on proton conducting ceramic oxides are attractive candidates for interconversion between hydrogen and electricity. When operated to produce electricity these function as fuel cells, and when operated to create hydrogen, they function as electrolysis cells. The proton conducting nature of the electrolyte provides inherent advantages in the gas flow configuration over traditional oxide cells in which the electrolyte is an oxygen ion conductor. However, despite high conductivity in protonic ceramic oxides, electrochemical performance as reported in the open literature has remained low. Moreover, the most commonly pursued electrolyte compositions suffer from poor chemical stability. Professor Haile describes here recent progress achieved using a combination of three advances: a new electrolyte composition, a new air electrode, and processing methods to decrease the contact resistance between these two components. The resulting cells display exceptional power densities in fuel cell mode, and extremely high electricity-to-hydrogen conversion efficiency in electrolysis mode. In addition, the cells are extremely stable over hundreds of hours of operation. As such, protonic ceramic electrochemical cells are likely to play a major role in a sustainable energy future. Sossina M Haile is the Walter P Murphy Professor of Materials Science and Engineering at Northwestern University, a position she assumed in 2015 after serving 18 years on the faculty at the California Institute of Technology. She earned her PhD in Materials Science and Engineering from the Massachusetts Institute of Technology in 1992. Haile’s research broadly encompasses solid state ionic materials and electrochemical devices, with particular focus on energy technologies. 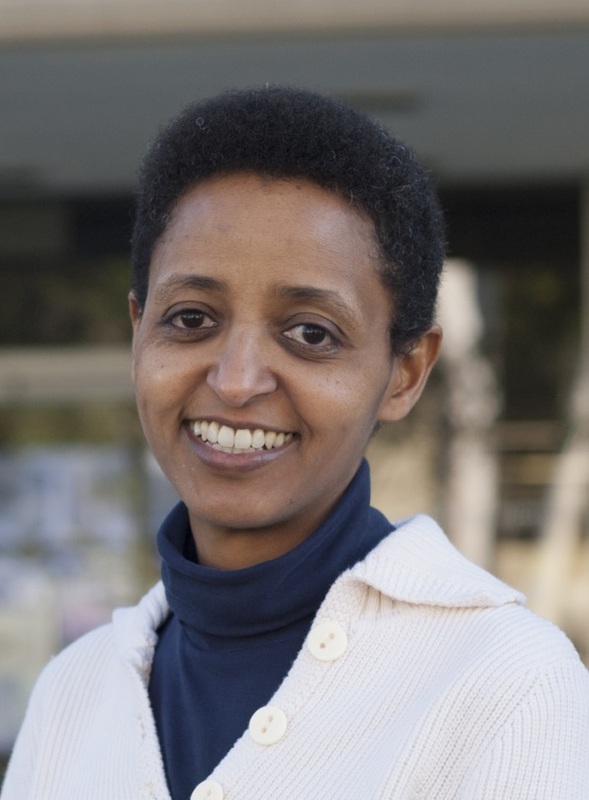 Amongst her many awards, in 2008 Haile received an American Competitiveness and Innovation Fellowship from the US National Science Foundation in recognition of “her timely and transformative research in the energy field and her dedication to inclusive mentoring, education and outreach across many levels.” She is a fellow of the Materials Research Society, the African Academy of Sciences, and the Ethiopian Academy of Sciences, and serves on the editorial boards of Materials Horizons and Annual Review of Materials Research. The energy sector is going through a period of unprecedented change, one driver being new levels of ambition for climate policy. The 2015 Paris Agreement sets a limit of ”well below two degrees” global warming and includes a “net zero” ambition for the second half of the twenty first century. This means that greenhouse gases must be extracted from the atmosphere at least at the same rate as they are emitted. At the same time, the only area in which real world developments have kept pace with policy ambition has been in the field of renewable energy with falling prices and rapid rates of new deployment. This talk will highlight ways in which advances in materials could contribute to an energy transition, including renewable energy and the integration of high levels of renewables into grids through energy storage but also identifying potential contributions in terms of negative emission technologies. The talk will conclude with some thoughts about the UK’s role in the wider global transition. Organic-inorganic metal halide perovskites have emerged as attractive materials for solar cells with power-conversion efficiencies now exceeding 22%. The researchers discuss the processes that have enabled these materials to be such efficient light-harvesters and charge collectors. The group particularly focuses on the fundamental scientific mechanism that will underpin photovoltaic operation when the Shockley-Queisser limit of maximum efficiency of a single-junction cell is approached. The researchers demonstrate that at the intrinsic limit, the mobility of charge-carriers is predominantly governed by interaction of carriers with optical vibrations of the lead halide lattice (Fröhlich interaction). In the absence of trap-mediated charge recombination, bimolecular (band-to-band) recombination will dominate the charge-carrier losses near the Shockley-Queisser limit. The researchers show that in methylammonium lead triiodide perovskite, such processes can be fully explained as the inverse of absorption, and exhibit a dynamic that is heavily influenced by photon reabsorption inside the material. Therefore, predictions of intrinsic charge-carrier mobilities and recombination rates can be readily made from easily accessible parameters, such as photon absorption spectra, phonon frequencies and the dielectric function, which allows for a targeted design of new materials for solar energy harvesting. 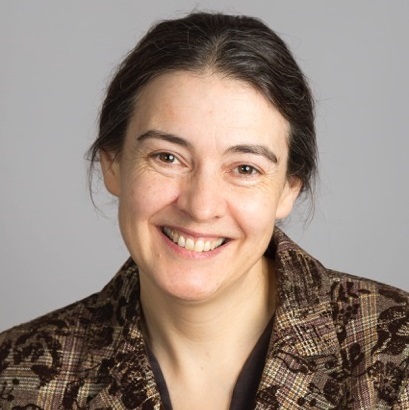 Laura Herz is a Professor of Physics at the University of Oxford and a Tutorial Fellow at Brasenose College. 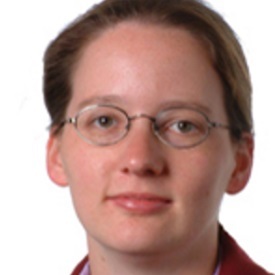 She received her PhD in Physics from the University of Cambridge in 2002 and was a Research Fellow at St John’s College Cambridge from 2001 to 2003 after which she moved to Oxford. Her research interests lie in the area of organic and organic/inorganic hybrid semiconductors including aspects such as self-assembly, nano-scale effects, energy-transfer and light-harvesting for solar energy conversion. Clare P Grey is the Geoffrey Moorhouse-Gibson Professor of Chemistry at Cambridge University and a Fellow of Pembroke College Cambridge. She received a BA and DPhil (1991) in Chemistry from the University of Oxford. After post-doctoral fellowships in the Netherlands and at DuPont CR&D in Wilmington, DE, she joined the faculty at Stony Brook University (SBU) as an Assistant (1994), Associate (1997) and then Full Professor (2001 – 2015). She moved to Cambridge in 2009, maintaining an adjunct position at SBU. She was director (2009 – 2010) and associate director (2011 – 2014) of the Northeastern Chemical Energy Storage Center, a DOE Energy Frontier Research Center. Recent honours/awards include the Research Award from the International Battery Association (2013), the Royal Society Davy Award (2014), the Arfvedson-Schlenk-Preis from the German Chemical Society (2015), the Société Chimique de France, French-British Prize (2017) and the International Solid State Ionics Galvani-Nernst-Wagner Mid-Career Award (2017), of which she is the first recipient. She is a Fellow of the Royal Society and in 2017 has been elected as a Foreign Member of the American Academy of Arts and Science and Fellow of the Electrochemical Society. 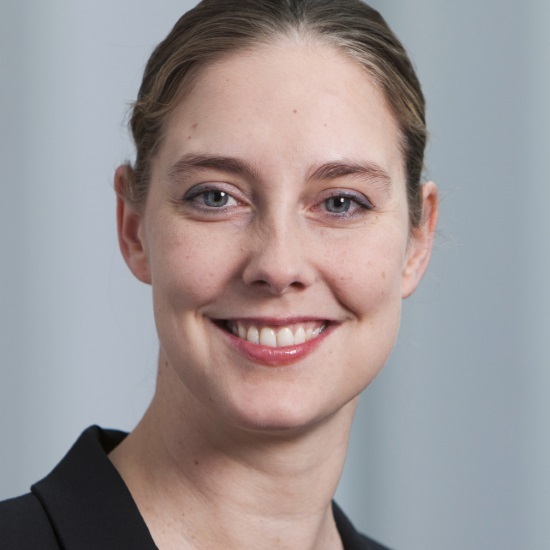 Her current research interests include the use of solid state NMR and diffraction-based methods to determine structure-function relationships in materials for energy storage (batteries and supercapacitors), conversion (fuel cells) and carbon capture. Thermoelectric solid-state energy conversion technology can provide a reliable and clean way to generate operative electricity from waste heat, which is a promising strategy for addressing energy conservation and management. Thus, there is a broad based push from the science and technology community to develop highly efficient thermoelectric materials as a possible route to address the worldwide power generation from heat. Today there is a variety of effective strategies to improve the properties of these narrow gap semiconductors such as achieving extremely low thermal conductivity and raising the power factors. The so-called nanostructuring and mesoscale approach has led to a new era of investigation for bulk thermoelectrics. Currently lead chalcogenides incorporating second phases hold the record in figure of merit for high temperature power generation applications. Nanostructures enable effective phonon scattering of a significant portion of the phonon spectrum while mesostructures tend to scatter phonons with long mean free paths remain. By combining all relevant length-scales in a hierarchical fashion, from atomic-scale disorder and nanoscale endotaxial precipitates to mesoscale phonon scattering, a large enhancement in the thermoelectric performance of bulk materials can be achieved. Progress on device and module assembly is excellent and modules with conversion efficiency of over 12% for a delta T of 590 K have been demonstrated using nanostructured PbTe-based materials. Interestingly, nanostructuring is not necessary to obtain record high thermoelectric performance. Several systems based on PbTe and PbSe will be described that lack nanostructuring but feature mesoscale structuring and point defects, which can also achieve very low thermal conductivity. Comparisons with nanostructured materials will be made. Finally, SnSe is a new striking example of a single-phase two-dimensional material which has shed new light in thermal transport and chare transport properties both in p-type and n-type doping. The state of the art in our understanding of this system will be presented. 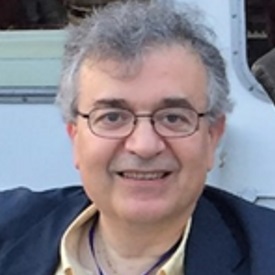 Mercouri G Kanatzidis was born in Thessaloniki, Greece, in 1957. He has a Bachelor of Science degree from Aristotle University in Greece. He received his PhD degree in Chemistry from the University of Iowa in 1984. He was a postdoctoral fellow at the University of Michigan and Northwestern University from 1985 to 1987. He currently is a Charles E and Emma H Morrison Professor in Chemistry at Northwestern University. Kanatzidis has been named a Presidential Young Investigator by the National Science Foundation, an Alfred P Sloan Fellow, a Beckman Young Investigator, a Camille and Henry Dreyfus Teaching Scholar, a Guggenheim Fellow and in 2003 was awarded the Alexander von Humboldt Prize. In 2014 he received the Einstein Professor Award from the Chinese Academy of Sciences; the International Thermoelectric Society Outstanding Achievement Award; and the MRS Medal. In 2016 he also won the Samson Prime Minister’s Prize for Innovation in Alternative Fuels for Transportation; 2016 American Chemical Society’s James C McGroddy Prize for New Materials; American Chemical Society’s Award in Inorganic Chemistry; and in 2015 the ENI Award for the Renewable Energy Prize and Royal Chemical Society’s De Gennes Prize. He is a Fellow of the Royal Society of Chemistry. 16:15-16:45 Experimental realization and theoretical understanding of high open-circuit voltages in lead-halide perovskites? Efficiencies of lead-halide perovskite based solar cells have increased over the last several years at a speed that is unprecedented in the history of photovoltaic technologies. What is striking is in particular how relatively little engineering was needed to achieve high open-circuit voltages (Voc) that even now come similarly close to the Shockley-Queisser limit than those of Si solar cells after 60 years of technological development. This development inspires two questions, namely how far can we go technologically, and how do we characterise and understand these results? Here, Dr Kirchartz will present experimental results on very high open-circuit voltages and discuss the transient and steady state characterisation of these high Voc materials and devices. 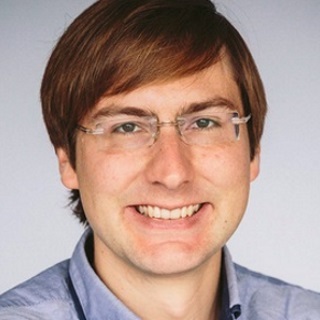 In the second part of the talk Dr Kirchartz will discuss what we know about non-radiative recombination in these semiconductors and discuss why the material properties of lead-halide perovskites are beneficial for achieving low recombination rates at a given charge carrier concentration. Thomas Kirchartz is currently a Professor of Electrical Engineering and Information Technology at the University Duisburg-Essen and the head of the department of analytics and simulation and the group of organic and hybrid solar cells at the Research Centre Jülich (Institute for Energy and Climate Research). Previously he was a Junior Research Fellow at Imperial College London. His research interests are all aspects regarding the fundamental understanding of photovoltaic devices including their characterisation and simulation. The thermodynamics and kinetics of solid/solid interfaces are critical for the function of solid-state devices. In this presentation, the current status of research on interfaces in solid-state batteries will be briefly reviewed and compared to the current understanding of interfaces in solid oxide fuel cells. Recently, solid-state batteries are considered as a potential next generation energy storage [1-3], competing with conventional lithium ion batteries. Interestingly, major hurdles on the way to commercialisation have still to be overcome, and the kinetics of interfaces needs to be improved. In particular, the lithium metal anode is a key issue, as it is also the cathode interface where oxidation of solid electrolytes may take place. It is interesting to compare the development of solid-state batteries, which has only started a few years ago, with the development of solid oxide fuel cells. On the route to commercial products, the electrode interfaces and the design of stable electrodes, that offer low impedance kinetics was also a key step towards success, in addition to the development of superior solid electrolytes. Professor Janek’s results will be presented, highlighting the current status of lithium solid electrolytes with high conductivity, the role of interface coatings and natural interphases, as well as the influence of chemo-mechanics on the properties of full battery cells. Jürgen Janek holds a chair for Physical Chemistry at Justus-Liebig University in Giessen, Germany, and is scientific director of BELLA, a joint lab of BASF SE and KIT in Karlsruhe/Germany. He received his doctoral degree in the field of physical chemistry of solids under supervision of Hermann Schmalzried and Alan B Lidiard. He was visiting professor at Seoul National University, Tohuku University/Sendai and Université d´Aix-Marseille, and received several awards for his scientific work. His research in physical chemistry of solids and electrochemistry spans a wide range from fundamental transport studies in mixed conductors and interface phenomena to in situ studies in electrochemical cells. Current key interests include all-solid state batteries, lithium- and sodium-based batteries and new solid electrolytes. He is particularly interested in kinetics at interfaces and in situ techniques. 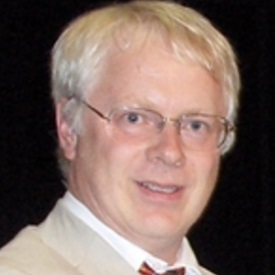 Jürgen Janek holds 12 patents and is author of about 300 peer-reviewed papers in a wide range of journals. While it is widely acknowledged that traditional Li-ion batteries, which work on the principle of reversible storage of electrons and Li-ions in bulk materials, are approaching their limits, the question is: what real opportunities lie beyond? This presentation will focus on the challenge to find better electrochemical energy storage systems that go “beyond Li-ion” batteries. Topics will encompass multivalent intercalation batteries, solid-state batteries, and cells that operate on the basis of “conversion” chemistry rather than conventional intercalation chemistry. These represent new technologies that could meet the needs for high energy density and/or high power storage, yet many barriers remain to realising their full promise. They require cleverly designed nanomaterials for the electrodes, different electrolyte strategies than those used for Li-ion batteries and advanced electrode architectures based on nanostructured design. Guiding materials development also requires developing a fundamental understanding of the underlying chemistry of redox processes, which will be a focus of this lecture. Linda Nazar, FRSC, is a Senior Canada Research Chair in Solid State Energy Materials and University Research Professor at the University of Waterloo, Canada. She is cross appointed to the departments of Chemistry, Physics and Electrical Engineering. She is a member of the Fellow of the Royal Society of Canada, and is an Officer of the Order of Canada. She is known for her work on energy storage materials with topics that span Li-S and Li-O2 batteries; Li-ion, Na-ion, Mg-ion and Zn-ion batteries, solid-state electrolytes, and the role that nanotechnology plays in energy materials science. Her work has earned her place on the Web of Science’s 2014, 2016 and 2017 Highly Cited Researcher Lists, and numerous professional honours and awards. Dr Nazar is a Member of the Editorial Board of several scientific journals, including Energy & Environmental Science, Angewandte Chemie, ACS Central Science, and serves on several international scientific boards and committees. Professor John Irvine is Professor of Chemistry at the University of St Andrews; visiting professor at Queens University, Belfast; 1000 Talents Professor at Fujian Institute for Research in the Structure of Matter; and European Councillor for the International Society of Solid State Ionics. In 2005 he was elected a Fellow of the Royal Society of Edinburgh. In 2008 he received the Royal Society of Chemistry Materials Chemistry Award, and the Sustainable Energy Award in 2015, and European Solid Oxide Fuel Cell Forum Schönbein Gold Medal in 2016. He has over 450 publications in refereed journals including Nature and Nature Materials. He has developed new concepts in fuel cells such as the Hybrid Direct Carbon Fuel Cell. He also has a leading role in the field of developing redox stable, coking tolerant oxide electrodes for SOFCs and discovered the first significant interstitial oxide ion conductor. Next generation of energy storage and sensors may largely benefit from fast Li+ ceramic electrolyte conductors to allow for safe and efficient batteries and real-time monitoring anthropogenic CO2. Recently, Li-solid state conductors based on Li-garnet structures received attention due to their fast transfer properties and safe operation over a wide temperature range. Through this presentation basic theory and history of Li-garnets will first be introduced and critically reflected towards new device opportunities demonstrating that these electrolytes may be the start of an era to not only store energy or sense the environment, but also to emulate data and information based on simple electrochemistry device architecture twists. The first part of the presentation focuses on the fundamental investigation of the electro-chemo-mechanic characteristics and design of disordered to crystallizing Li-garnet structure types and their description. Understanding the fundamental transport in solid state is discussed, asking the provocative question: how do Li-amorphous to crystalline structures conduct? How we can alter their charge and mass transport properties for solid electrolytes and towards electrodes is discussed. Here, the researcher firstly presents new Li-garnet battery architectures for which we discuss lithium titanate and antimony electrodes in their making, electrochemistry and assembly to full battery architectures. Secondly, new insights on degree of glassy to crystalline Li-garnet thin films are presented based on model experiments of the structure types. Here, the thermodynamic stability range of maximum Li-conduction, phase, nucleation and growth of nanostructure is discussed using high resolution TEM studies, near order Raman investigations on the Li-bands and electrochemical transport measurements. The insights provide novel aspects of material structure designs for both the Li-garnet structures (bulk to films) and their interfaces to electrodes, which we either functionalise to store energy for next generation solid state batteries or make new applications such as Li-operated CO2 sensor tracker chips. In the final part the presentation reviews in a more holistic picture how one can use such materials and change the electrochemistry from energy storage, chemical sensing to data emulation for which we see prospect for electric vehicles, the Internet of Things or hardware in artificial intelligence. Professor Jennifer Rupp is an Assistant Professor at the Department of Materials Science and Engineering and Electrical Engineering and Computer Science at MIT. Prior she was a non‐tenure track assistant professor at ETH Zurich, Switzerland, where she was holding two prestigious externally funded career grants, namely an ERC Starting Grant (SNSF) and Swiss National Science Foundation (SNF) professorship from 2012 onwards. The Rupp group’s current research interests are on solid state material design and tuning of structure-property relations for novel energy and information devices and operation schemes. This ranges from alternative energy storage via batteries or catalytic convertor systems processing by smart material design solar light and CO2 to renewable synthetic fuels, or novel types of neuromorphic memories and computing logic entities for data storage and transfer beyond transistors. Here, her team goes the whole way from material design, novel processing techniques to make ceramics, cermets or glassy-type ceramic structures up to device prototypes, their operation and characteristics. She has published more than 80 papers, holds four patents, and enjoys discussing material tech trends on the theme of energy with the public, economists and policy makers, and was a frequent speaker and member of the World Economic Forum (2015 – 2017). Rupp and team received several honours and awards such as the 2017 Electrochemistry Award by BASF and Volkswagen for their battery research, keynote lecture at Nature Energy conference 2016, Top 40 international scientist under the age of 40 by World Economic Forum 2015, Spark Award for the most innovative and economically important invention of the year 2014 at ETH Zurich, Gordon Research lecture 2014, the Kepler award New Materials in Energy Technology by the European Academy of Science 2012 or Young Scientist Award by the Solid State Ionic Society. 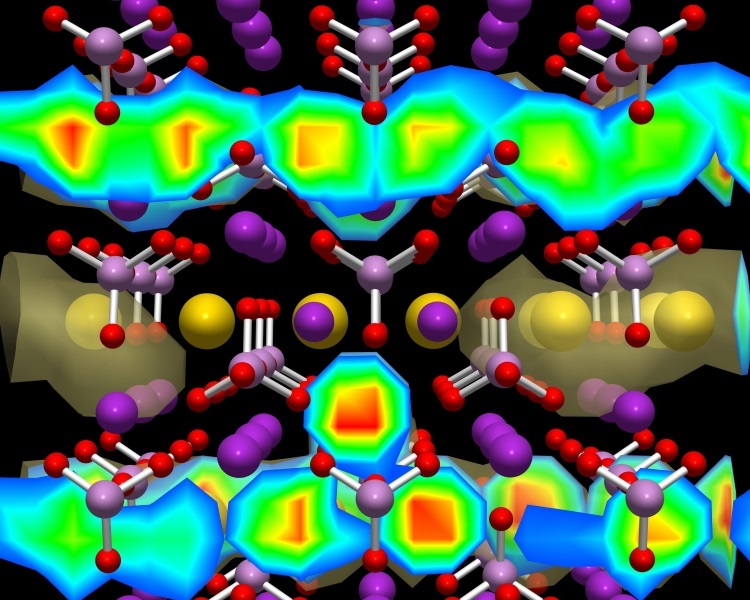 The ability to predict thermodynamic and kinetic properties of electrode and electrolyte materials from first principles is providing opportunities to explore and design new battery concepts. Challenges remain, however. Batteries are dynamical systems at the materials level, requiring long-range ion transport at room temperature that often induces a succession of phase transformations within the electrodes. Modelling batteries must address phenomena that occur at multiple length scales. In this talk, Professor Van der Ven will describe recent efforts at bridging the gap between the electronic structure of materials and well-established phenomenological theories that describe the behaviour of electrodes and electrolytes at meso and macroscopic length scales. 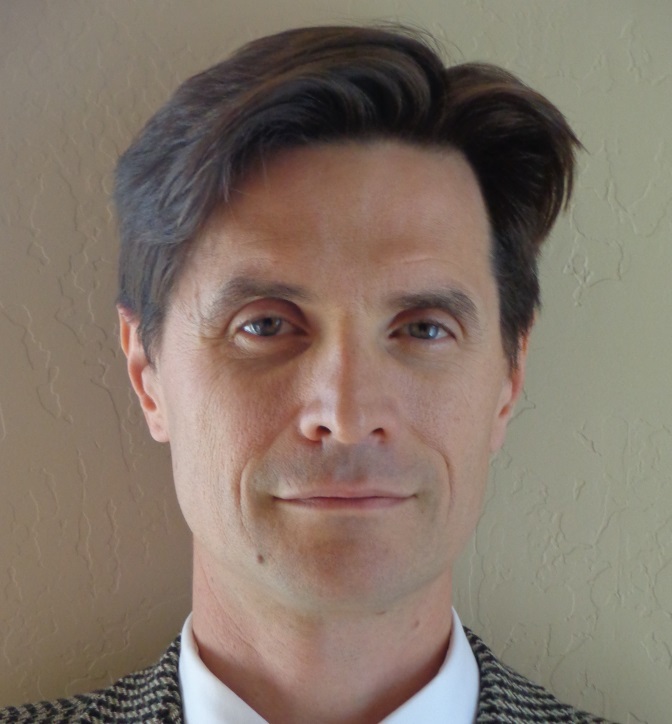 Anton Van der Ven is Professor of Materials at the University of California, Santa Barbara. His research seeks to unravel the links between the electronic structure of solids and their macroscopic properties using first-principles statistical mechanics. He studies a wide variety of materials classes for electrochemical energy storage and high temperature aerospace applications. He has spent almost two decades investigating the unique electronic, thermodynamic and kinetic properties of transition metal oxides and sulfides used as electrodes in Li-ion batteries. His group develops statistical mechanics methods and accompanying software tools to predict the properties of complex crystals from first principles. Van der Ven studied metallurgy at the Katholieke Universiteit Leuven, Belgium, and obtained a PhD in Materials Science at the Massachusetts Institute of Technology, USA. There are a large variety of materials being studied for application in solar energy conversion. The majority of compounds are based upon naturally occurring minerals. The general procedure has been to take a multi-component system and tune the chemical composition to optimise the optical absorption for the terrestrial solar spectrum. Other factors also determine whether a material can be practically employed in a photovoltaic or photoelectrochemical system, for example, the electronic band energies (work functions), defect chemistry, and thermodynamic stability. Firstly, Professor Walsh will discuss the latest advances in computer simulations for crystalline materials, including the benefits of statistically driven design (machine learning) . Professor Walsh will then present his group’s recent progress into the optimisation and discovery of new materials for solar energy conversion with an emphasis on computing photovoltaic performance descriptors from computational chemistry [1-5], including advances in structure-property relationships in the kesterite (eg Cu2ZnSnS4) and perovskite (eg CsSnI3 and CH3NH3PbI3) families, in addition to the matlockite (PbFCl type) and herzenbergite (SnS type) systems. New directions in the field, including the development of photoferroic semiconductors, will also be addressed. 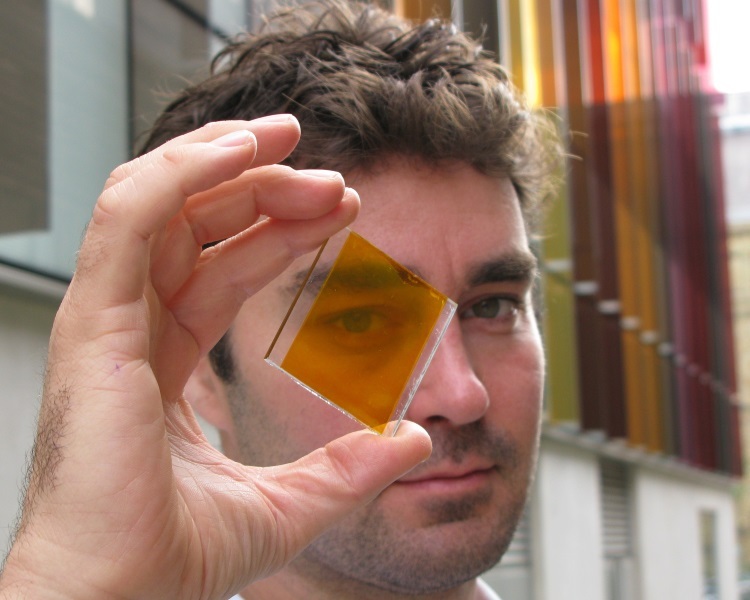 Aron Walsh is Professor of Materials Design at Imperial College London. He was awarded his PhD in Chemistry from Trinity College Dublin, Ireland, completed a postdoctoral position at the National Renewable Energy Laboratory, USA, and held a Marie Curie fellowship at University College London. He began his independent research career at the University of Bath and held a Royal Society University Research Fellowship in the Department of Chemistry. His research combines technique development and applications at the interface between solid-state chemistry and physics. Andy Cooper is a Nottingham graduate (1991), also obtaining his PhD there in 1994. After his PhD, he held a 1851 Fellowship and a Royal Society NATO Fellowship at the University of North Carolina at Chapel Hill, USA, and then a Ramsay Memorial Research Fellowship at the Melville Laboratory for Polymer Synthesis in Cambridge. In 1999, he was appointed as a Royal Society University Research Fellowship in Liverpool. 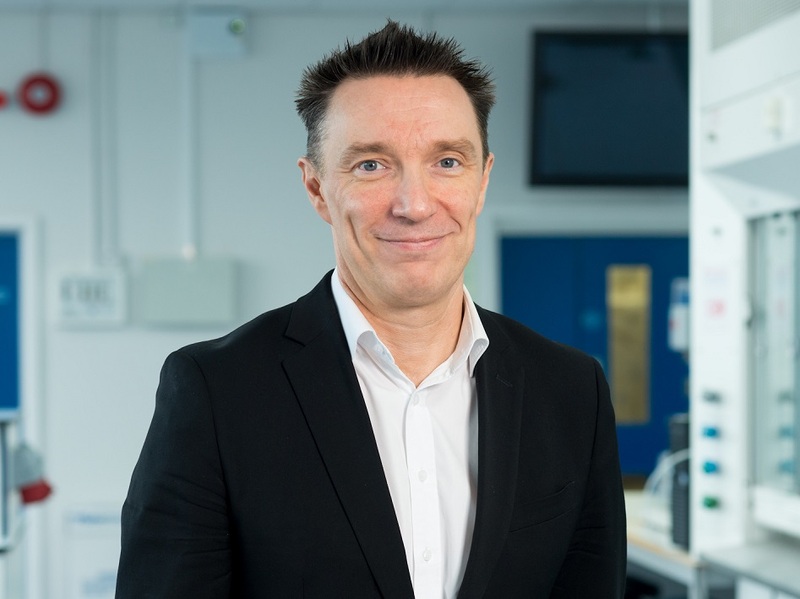 He is the founding Director of the Centre for Materials Discovery, established in 2007, and was Head of Chemistry and then the first Head of the School of Physical Sciences in the period 2007 – 2012. He led the UK RPIF bid to establish the Materials Innovation Factory and is its first Academic Director. He is also the Director of the Leverhulme Centre for Functional Materials Design. He was elected to the Royal Society in 2015. 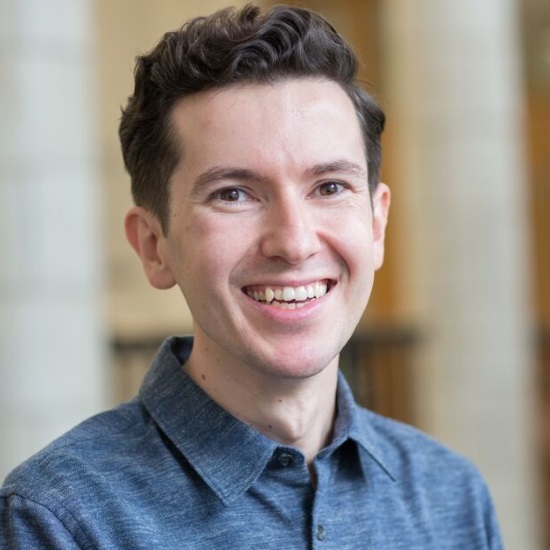 Andy’s research interests are polymeric materials, porous materials, supramolecular chemistry, and materials for energy production and storage. He also has a strong technical interest in high-throughput materials discovery methods. He has been awarded the Macro Group Young Researchers Award (2002), the RSC Award in Environmentally Friendly Polymers (2005), the McBain Medal (2007), the Corday-Morgan Prize (2009), the Macro Group Award (2010), a Royal Society Wolfson Research Merit Award, and the Tilden Prize (2014). 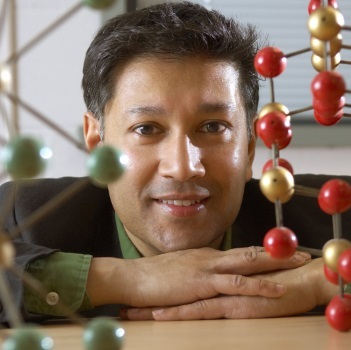 In 2011, he was named in a Thomson Reuters list as one of the Top 100 materials scientists of the last decade, one of eight UK scientists so listed. Professor Hywel Thomas is Pro-Vice-Chancellor, Research, Innovation and Engagement at Cardiff University. In this role he is responsible for the University’s research activities, and the innovation agenda, including commercialisation and the broader economic impact of the University. 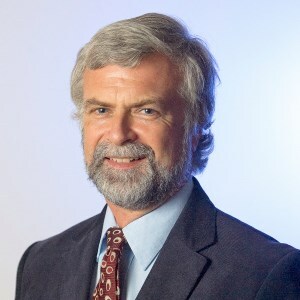 Professor Thomas is also a Professor of Civil Engineering, Director of the Geoenvironmental Research Centre (GRC) and a UNESCO Professor in the Development of a Sustainable Geoenvironment. His research interests cover a wide range of geoenvironmental issues, from coupled Multiphysics/geochemistry flow problems in soils and rocks, through to sustainability issues in general. Current interests include the geoenergy field, with major projects on ground source heat, underground coal gasification, exploitation of unconventional gas and carbon sequestration in coal seams. 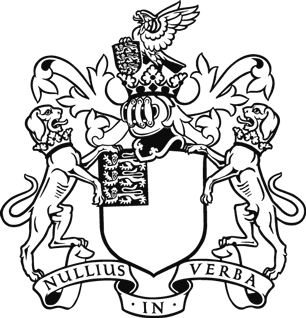 Professor Thomas is closely involved in a number of Royal Society initiatives. He chaired the recent Royal Society work on Options for producing low carbon hydrogen at scale. He currently chairs the joint Royal Society/Royal Academy of Engineering study of research into Shale Gas exploitation. He also recently joined the government’s CCUS Council. 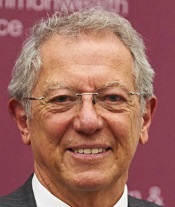 Professor Sir David King is a Partner of SYSTEMIQ and Senior Strategy Adviser to the President of Rwanda. He was the UK Government Chief Scientific Adviser 2000-2007; the Foreign Secretary’s Special Representative on Climate Change 2013-2017, working with 165 Climate Change Attaches in UK Embassies; and Chair of Future Cities Catapult 2012-2016. He travelled widely to persuade all countries to take action on climate change. He initiated an in-depth risk analysis approach to climate change, working with the governments of China and India in particular (Climate Change: a Risk Assessment), and initiated a collaborative programme, now known as Mission Innovation, to create a $25bn pa research and development international exercise which involves 22 countries and the European Commission, to deliver all technologies needed to complete the transition into a fossil-fuel-free world economy. He was born in Durban, educated at St John’s College Johannesburg and at Witwatersrand University, graduating with an Honours degree in Chemistry and a PhD. He has received 23 honorary degrees from universities around the world. He was Head of the Department of Chemistry and Master of Downing College at the University of Cambridge, and has published over 500 papers on surface science and catalysis and on science and policy. As Govt Chief Scientific Adviser he raised the need for governments to act on climate change and was instrumental in creating the British £1 billion Energy Technologies Institute. He created an in-depth Futures process which advised Government on a wide range of long term issues, from flooding to obesity. He was Member of the President’s Advisory Council in Rwanda, and Science Advisor to UBS, 2008-12. He served as Founding Director of the Smith School of Enterprise and the Environment at Oxford University, 2008 – 2012. Elected Fellow of the Royal Society in 1991; Foreign Fellow of the American Academy of Arts and Sciences in 2002; knighted in 2003; made “Officier dans l’ordre national de la Légion d’Honeur” by the President of France in 2009.